Our 17,000sq ft. Day Care and Swim Center is every dog’s dream. Socialization and exercise are essential to your dog’s overall well-being. 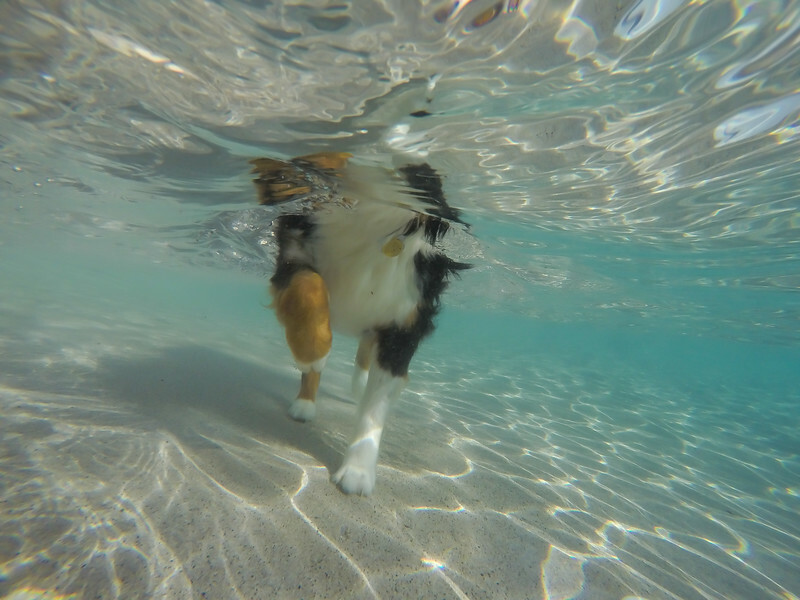 Our Day Care & Swim Center provides a fun way for dogs to use up their stored energy and continue to develop their social skills. Safety and fun is what we strive for when your dog is enrolled in our day care program. Your dog must be well balanced and pass a temperament test on their first day with us. Your dog will be constantly evaluated, to make sure they continue to meet the requirements of our cage free day care program. 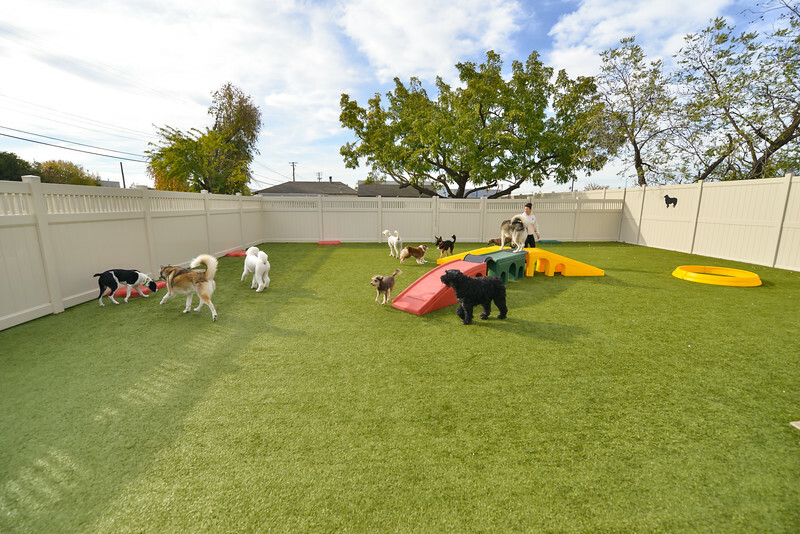 Your dog MUST have experience playing with other dogs to join us in day care. Please don’t force your shy, aggressive, or scared dog into day care. We recommend you consult a trainer to overcome these issues before enrolling your dog in any day care program. Our day care center is a cage free environment. We split dogs into groups that best match their size and temperament. We have 3 OUTDOOR play yards with specialized K-9 Turf. Our custom dog pool is amazing with water features providing ultimate fun. 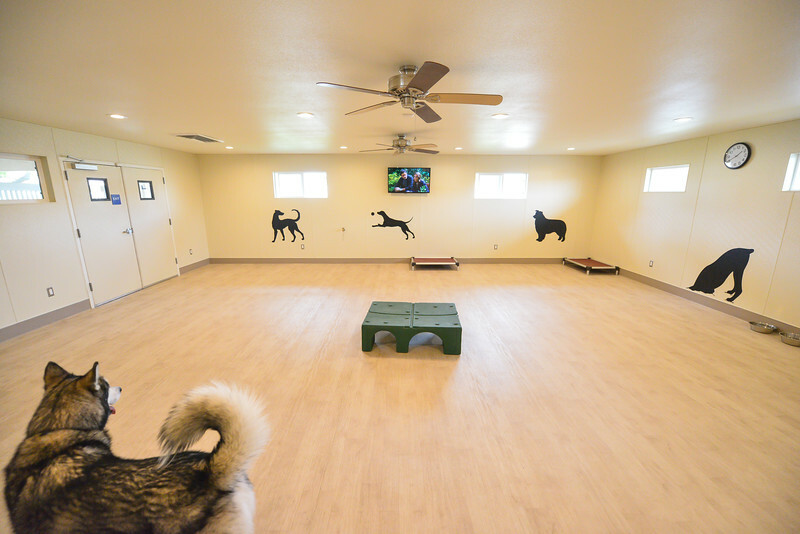 Our two climate controlled INDOOR play yards allow them to come inside, rest, and lounge if desired. 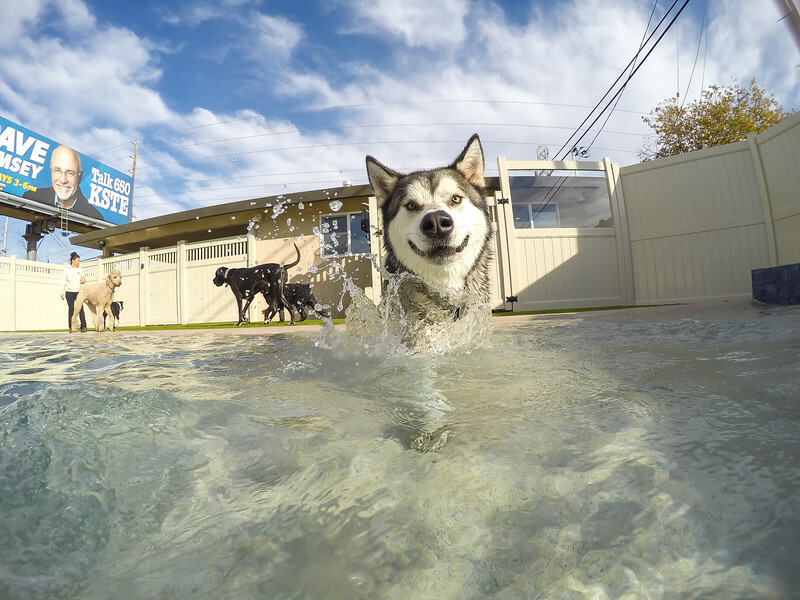 Unlimited use of the dog pool is included in Day Care. We do require a reservation for our Day Care Program. Unfortunately, you may be turned away if we are full and you show up without a reservation. Does your dog not like a certain color of dog, or a particular breed of dog? Does your dog act scared or hesitant around other dogs? Does your dog have overly dominant play habits? Is your dog sometime unpredictable with other dogs? Is your dog older and just wants to sleep the day away? Is your dog not spayed or neutered?